The forklift pallet rotator offers a clever solution to emptying contents off a pallet whilst eliminating the need for manual handling, and like all our forklift attachment, comes fully tested and certified to comply with latest Health & Safety Regulations. 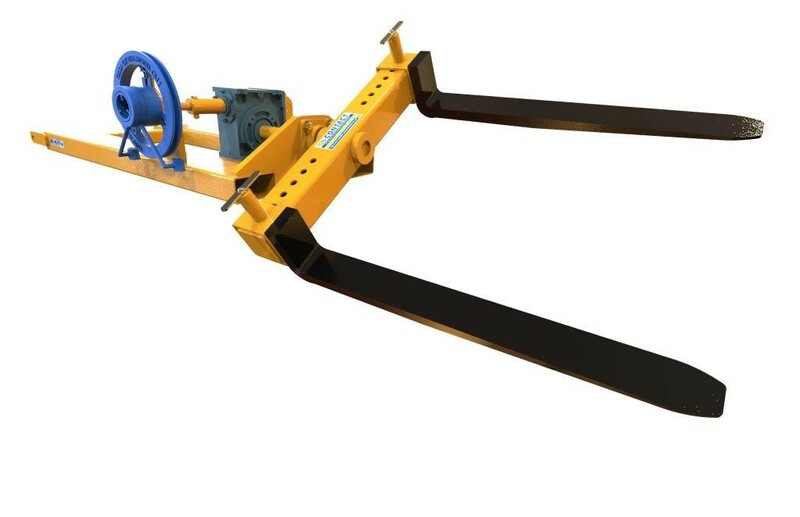 The Fork Mounted Pallet Rotator allows safe and simple pallet pick up and rotation. The fork tines of the pallet rotator are adjustable (550 - 806mm) to suit most pallet sizes. A high quality wormed gearbox allows controlled rotation of the forks via a crank handle. The front section of the pallet rotator can be rotated through 360 degrees.